A much-needed day off work, and what better way to spend the day relaxing than going trawling the ‘golden mile’ of car dealerships in Southend with my mate Andrew Elphick. It was a great idea – to idly fantasize about spending money I don’t have on cars I don’t really need – and during the day, I was educated, amused, amazed and baffled. How much better than that does it get? The day started normally enough – the dealers we looked at were peddling cars between £5000 and £15,000, and although there was plenty of the usual Vauxhall and Ford bread and butter, it was clear that the showrooms also stocked some fairly interesting tat. Ignoring the jet black Porsche 944S in a Land Rover specialist’s window was esy enough, but the proper dealers’ booty was more difficult. 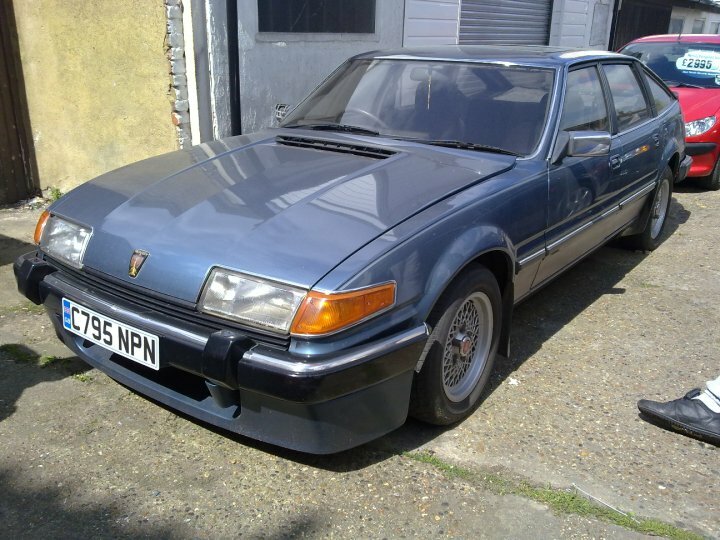 A BMW 840Ci mocked me at £8000, as did the chest wig Nissan 300ZX, a mere snip at £3000. The further down the road we travelled, the seedier the dealers got. But interestingly, there were none of the £500 snotters that I’d been craving to see. Common threads along the way were aplenty – like that every dealer seemed to have a late MGF or early TF in stock for around £3000, alongside a forecourt ornament Jaguar S-type. A break for lunch had us camp in a typical (I like to think) Essex greasy spoon. The doormat was union flag patterned, while all around me were matching flags and bunting. The tea was hot and sweet and the bacon wam and greasy, while the posters on the wall promoted an upcoming bare-knuckle boxing fight on St George’s Day. Wonderful. As the day progressed, the sights were becoming more interesting: the dealership that was rattle-canning a Fiesta on its forecourt, newspaper masking, flapping in the wind; another fixing a rear door shut of another Fiesta, ladling in fibreglass filler – and no attempt to hide the fact. At a kerbside, we spotted an Alfa 156 V6 for £500. I’d have had it too had there been petrol in it. Dented and dusty, it looked basically unloved – but with premium tyres all-round. A bargain for someone. If I’m honest, it was the first car I’d wanted all day… it wouldn’t be the last. Of a similar magnitude was a £1200 dented Volkswagen Passat V6 Syncro. Phaeton development hack for a grand, anyone? Walking through another dealership, we headed past the TFs, Focus saloons and S-types, and into the neverland of the rear yard. Rounding the corner, I almost yelped in glee, ‘blow me, an SD1,’ I shout. Elphick doesn’t believe me… until he sees it. Moonraker Blue, the Vitesse auto is slightly down at heel, but essentually straight. We start negotiating with the grease monkeys who’ve strolled out of the body shop to see who could possibly be looking at the old heap. For a moment, it looks like there’s going to be a fight. Elphick and I are smiling. This could be good. But before it starts, the chancer wanders off growling under his breath. The day continues to turn up diamonds in the dirt. And because so many old sheds have disappeared from the trade, the sub-£1000 crappers really now stand out. And that’s a little scary when one thinks just how much metal you could buy for so little as little as a year ago. I was expecting the streets to be paved with £500 Jaguar X300s, and instead I’m inundated with £3500 MG TFs. Oh well. Still, there are a few to ponder. A straight looking Rover 620ti, stickered up at £500 appeals, assuming its diff bearings aren’t shot. The star of the day, though, was a sweet little Rover 115D – again up for £500 – at a Mini specialist. 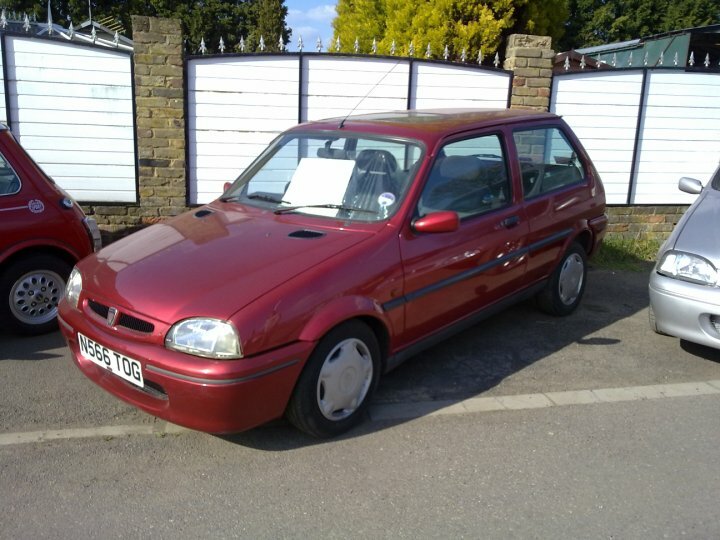 Could it be worth picking up to replace my dented Metro 1.4LD? Don’t bet against it. As for the day in Essex, it’s been everything I expected and more. Overpriced tat, a greasy spoon straight out of EastEnders, the smell of car polish and filler, and a near fight. If that was me, that Rover SD1 would have been bought and headed stateside. What a beauty. I know what I am doing next time I am in the UK…touring car lots. With ca$h. Keith this a great piece and my favourite game to play though a dangerous one! ‘Kerb Crawling’ now means that I currently have a Triumph GT6, Porsche 944, Discovery 300tdi, two B** E30’s, MK1 GTi Golf and a rather p*ssed off wife! Just round the corner from my house is 4 dr ‘A’ reg Rangerover, its a unmolested non Vogue model on original steel wheels ,slated grill etc in a mushroom brown. Tempting but …………. 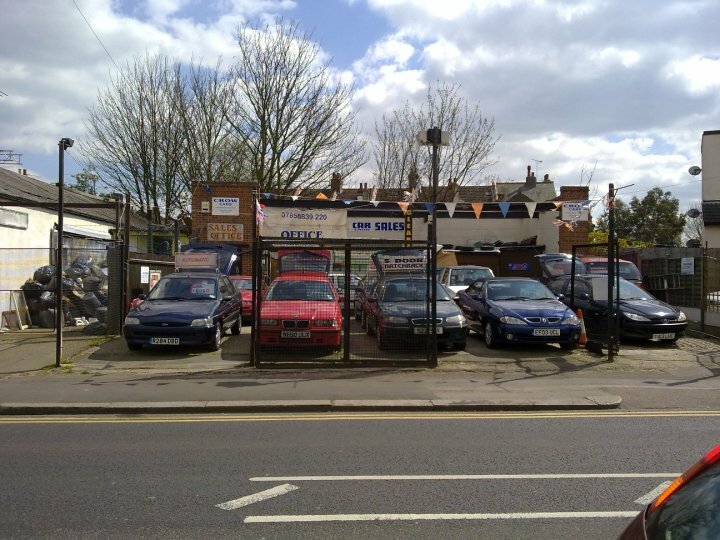 You need to take a trip round the “North Circ” to Wembley and see the garage of Derek J Ketteringham Motors. An ex ARG dealer that still has his illuminated Austin Rover signs in his showroom windows and brochure racks stuffed full of period BL / ARG stuff let alone his posters on the wall of SD1`s and the likes! I keep mentioning it! The chaps a nice bloke too, god knows how old he is mind! 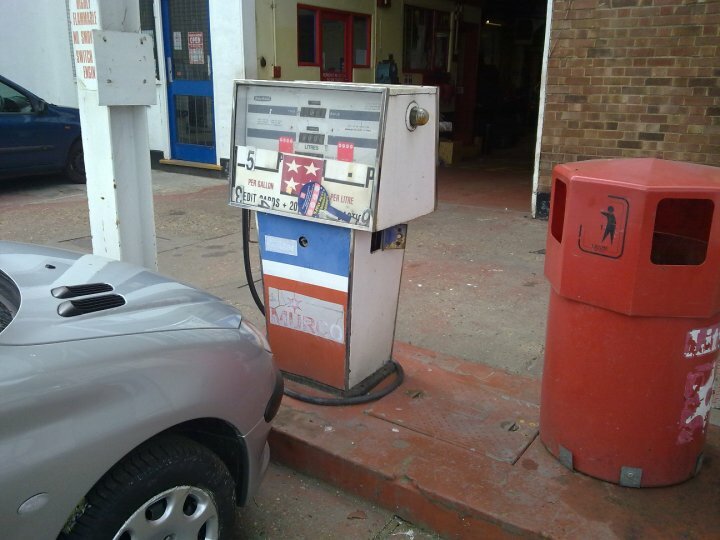 Lots of fun on google street view, look for the Shell garage round by Neasden.